Ice Grip Cane Tip is an attachment to the tip of most canes or crutches that helps to promote safer walking on ice and snow. This Cane Ice Grip Tip has 5 prongs for multiple points of contact with the ice. The adjustable attachment device on the Ice Grip Cane Tip is adjustable to fit most crutch sizes or walking canes. When the ice grip is not needed, just simply flip the tip upward and out of the way. The Ice Grip Cane Tip is made of steel for durability and long use. Manufactured by Mabis DMI, the Cane or Crutch Ice Grip Tip is easy to attach to most walking canes or crutches with only two screws which are included. Fits most canes or crutches. Provides for safer walking on ice or snow. 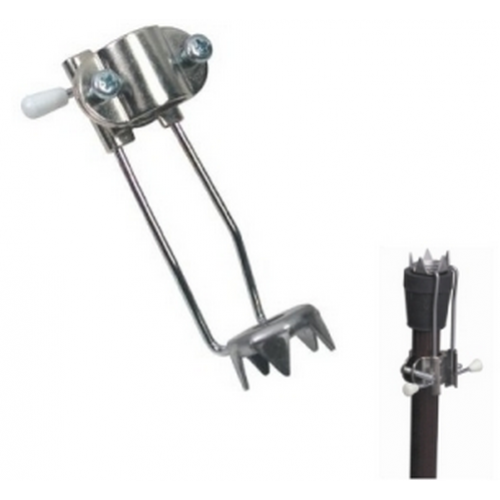 Ice Grip Tip Cane Attachment. 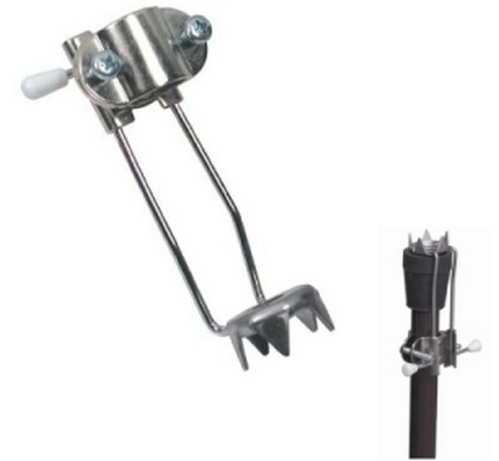 Mabis DMI Ice Grip Cane Attachment Product Number: 512-1368-0600. Size: Adjustable fit, adapts to most canes or crutches. Applications: Cane Ice Grip Tip, Crutch Ice Grip Tip. This ice grip is so easy to attach when needed and to remove when the snow melts. The steel spikes give great traction.